Thanks Gleaner for that lovely Lawren Harris cover. In addition to the local ties and contributions mentioned in the article, Harris was also an alumnus of local Huron Street Public School. We filmed last Wednesday at the University of Toronto, and I saw your Gleaner outside the Arbor Room. The cover of your issue looks absolutely beautiful!! You have hooked into a local story, as Harris lived on St. George Street, went to Huron Street Public School and St. Andrew’s College (when it was in a house in Rosedale), and attended U of T, though only for one term — his math professor noticed the drawings in Harris’s notebooks and suggested that he leave to attend art school (that math prof deserves a posthumous Order of Canada for changing the course of Canadian art). How Harris’s paintings have come to define our sense of place and time…the winter season. So very fine choice!! One note: Lawren S. Harris didn’t teach at Central Technical School. 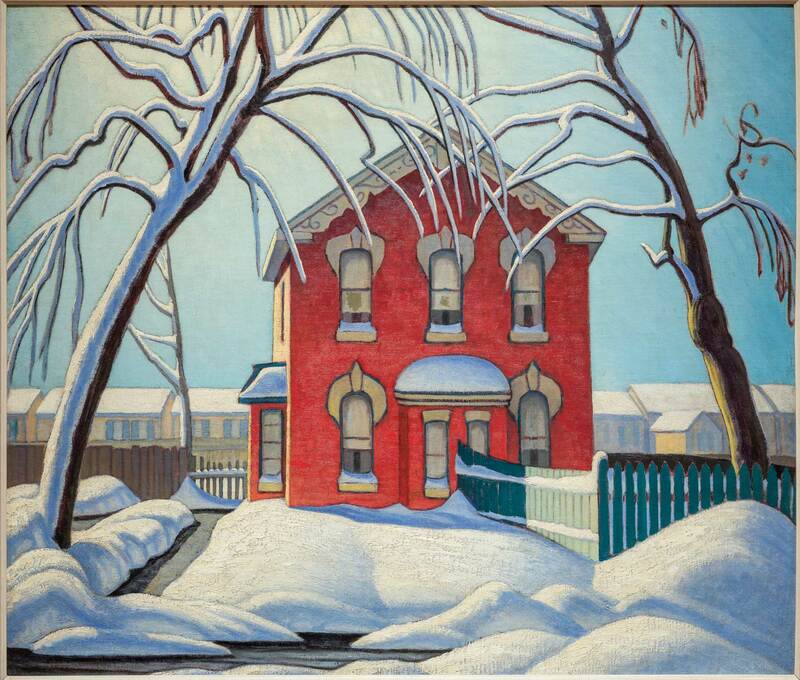 I believe his son, Lawren P. Harris, attended Central Technical School and taught at Northern Secondary School. He may have taught at Central Tech as well, but I am not sure. Editors’ Note: Anecdotal evidence suggests that Harris pater taught in Tech’s art department, but we are prepared to be wrong. Please email us at gleanereditor@gmail.com if you can help us solve this or any other local conundrum.